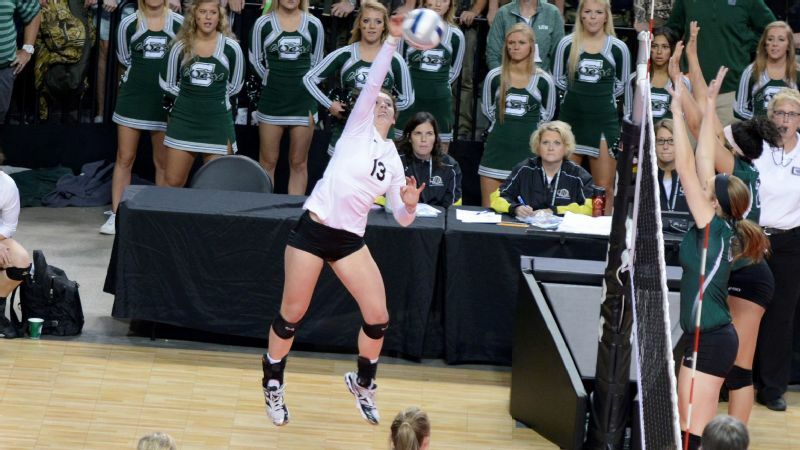 Raegan LeGrand, the Nebraska Gatorade player of the year, will be shifting to libero for her freshman year at USC. Two hours into the second practice of the season in early August, USC volleyball coach Mick Haley stopped a drill. He walked over to 5-foot-10 freshman libero Raegan LeGrand, the reigning Gatorade Nebraska volleyball player of the year. "This isn't Nebraska Juniors," Haley said, flashing a wide smile, referring to LeGrand's club team. LeGrand had been taught to pass to the right side of the court; Haley wanted her to pass to the middle. "This is USC." 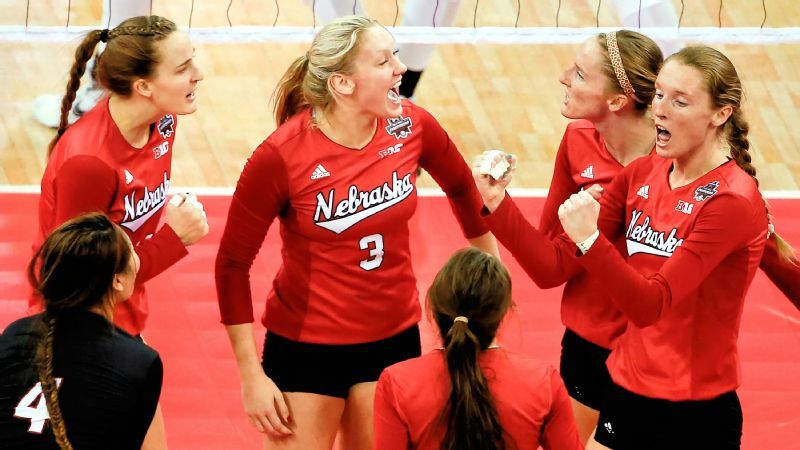 LeGrand, hailing from Papillion, an Omaha suburb with a population of less than 25,000 that has produced volleyball royalty like Allison Weston, Gina Mancuso and Amber and Kadie Rolfzen, is used to the Nebraska jokes. Her classmates often ask her if she rode cows to school or grew corn in her backyard. LeGrand, a California girl at heart who loves palm trees and the ocean -- she went swimming with sharks at age 11 and dolphins at age 12 -- nodded her head four times to Haley. "You're right. Got it, coach," she said, perfecting the pass the next possession. Welcome-to-college-ball moments are rare for LeGrand, who brings skilled defense, passing and hustle to the defending co-Pac-12 champion Trojans, ranked No. 7 nationally. "She's solid as a rock," Haley said. "She'll be a leader on this team way earlier than most people," Haley said. "She'll fight like heck to be out there and help us win." For most of her life, LeGrand had to scratch and claw to earn roles on elite teams. Her mentality? "Fate Loves the Fearless," which came from a white and blue LeBron James shirt she received when she was 12. "It's almost like karma, you get what you put into it," LeGrand said of the meaning behind the quote. "Fate rewards those who go through life taking risks and pursuing things." LeGrand was 5 when she began playing with 12-year-olds. She didn't blink twice; all she wanted to do was be near a net, no matter who was on the other side of it. "At that point, I don't even think I understood intimidation," LeGrand said. "It was just fun." 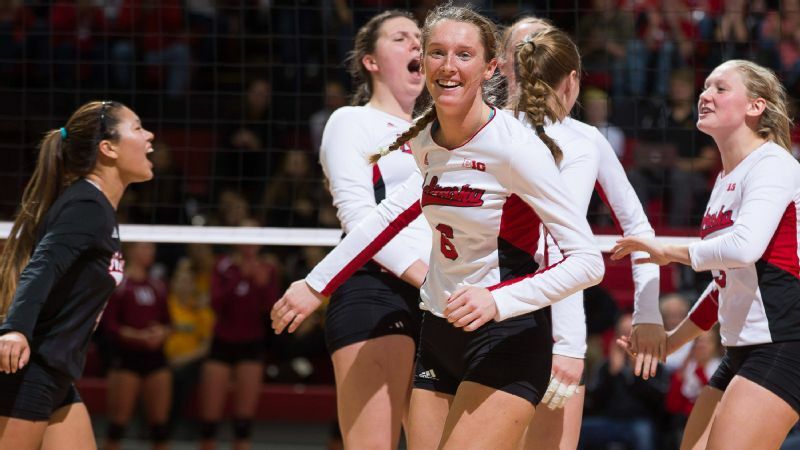 When she was 12, a seventh-grader, LeGrand tried out for Nebraska Juniors 15s, a club team stacked with future Division I players. Her mother, Alyssa, kept her age a secret. Alyssa, flipping through magazines in the corner of the gym, was approached by a few of the coaches. "They wanted to let me know up front: She may not make the team, she may not play," said Alyssa, a former high school coach, and a former Midland University player, who used to take 6-month-old Raegan to her practices in a carrier. "I don't care," Alyssa told the club coaches. "She wants to experience this. She wants to train." LeGrand became the youngest player to make the team. Though she rarely rose from the bench, she kept working. A few tournaments in, she morphed into the starting right side. "She doesn't get shaken," Alyssa said. "Whatever the challenge is, she's all in." Fate rewards those who go through life taking risks and pursuing things. The stakes rose even higher for LeGrand as a freshman on Papillion-LaVista South High School's varsity team in 2012, then one of the top teams in the country. The loaded squad of mostly seniors, including the Rolfzen twins and Kelly Hunter, was riding a near 90-game win streak. "They had high goals," said former Papillion-LaVista South coach Gwen Egbert, now coach at Doane University. "Raegan had to be on point right off the bat." But the rookie found herself glued to the bench. She clapped, stomped and cheered for her teammates, but wanted more. "My mom goes, 'It's so awesome you made varsity,' " LeGrand said. "And I'm sitting there like, 'No. I want to play.' Because I'm competitive." During the first tournament of the season, Papillion-LaVista South struggled to pass in the first set against Western Christian (Hull, Iowa). LeGrand remembers Egbert, also her long-time club coach, turning to her: I'm tired of the libero not getting to the ball! Raegan, go in there! Don't mess up! LeGrand had never played libero before. She had never played in front of hundreds of people before. Her poised passing and defense ignited Papillion-LaVista South to victory. She earned the starting nod. The streak lived on. The team went on to win the Nebraska state championship. 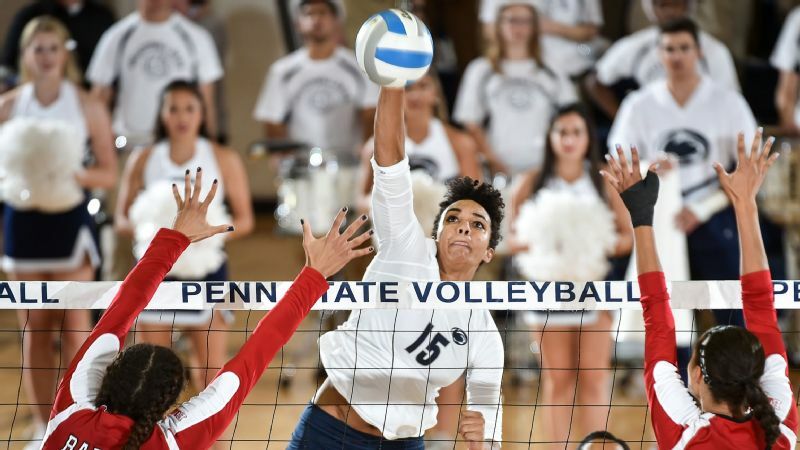 LeGrand morphed into an All-American at outside hitter, and she was named the Gatorade volleyball player of the year and the MaxPreps.com No. 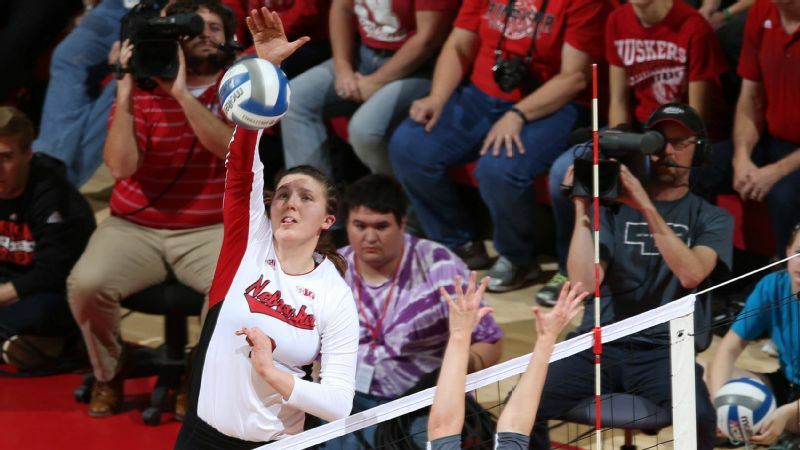 1-ranked player from Nebraska as a senior in 2015. 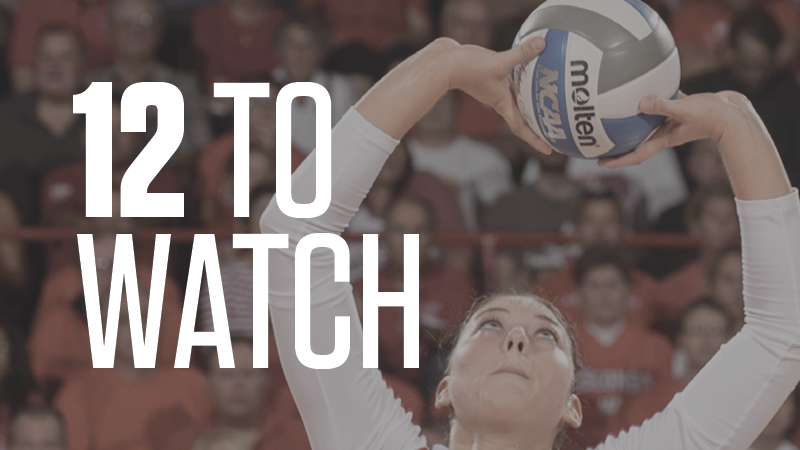 Though recruited by the reigning national-champion Cornhuskers, LeGrand had dreamed of playing in sunny California since she was a young girl, inspired by her cousin, Gabi Ailes, an all-conference libero for Stanford in 2010. Haley, who hadn't yet seen LeGrand play, received a phone call from Creighton volleyball coach Kirsten Bernthal Booth. "She said, 'There's a kid in Nebraska here that I love,' " Haley recalled. "She can't play for me. She's too good. You need to see her." LeGrand visited USC during spring of her sophomore year. She said she liked that Haley said he couldn't make any promises and that expectations would be high. If Haley had told her she needed to dance in a tutu in front of the entire student body while juggling five tennis balls and run 10 miles afterward for a chance to suit up for the Trojans -- she probably probably would have done it. Plus, year-round sunshine without humidity? No snow? No coat required? "I told my mom, 'If I'm not going here, I'm not going to play college volleyball,' " LeGrand said. Returning home, LeGrand took a Sharpie and wrote on her wall aspects of her game to improve on in order to play for USC. She devoured books on mental toughness, like "Mind Gym," "The Hard Hat" and "The Energy Bus." She meditated on the floor of her room. Most in Papillion were supportive of her choice, though a few were disappointed she didn't choose Nebraska. "She wanted to spread her wings," Alyssa said. "She said, 'I gotta go do this. I gotta go try it in California.' 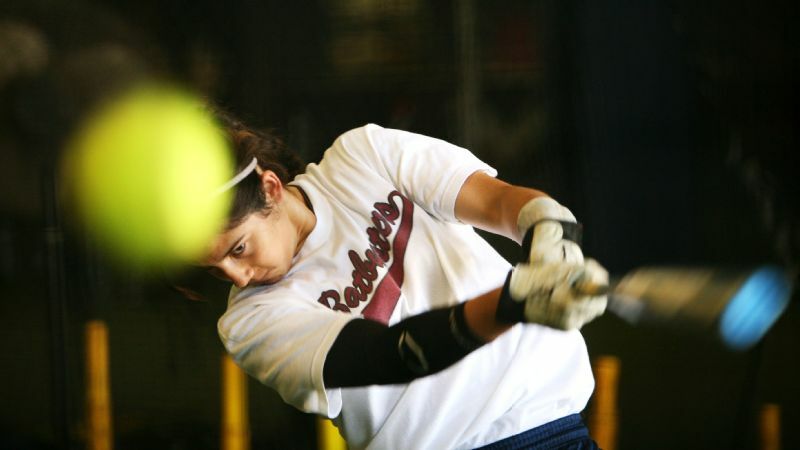 "
Now as a freshman at USC among a squad of 10 upperclassmen, LeGrand once again must prove herself. This is her first time playing libero since her freshman season in high school. With senior Taylor Whittingham and sophomore Victoria Garrick at her position, her goal, she said, is to contribute any way she can and continue to get better every day. Fate Loves the Fearless ... Fate Loves the Fearless ... Fate Loves the Fearless ... she often whispers to herself during practice. "She's one of those kids I think you can trust. They'll always play as hard as they can play," Haley said. "They'll always make the people next to them better. Those kinds of people are tough to find."